Jan Tenhaven is an award-winning writer and director of documentaries and non-fiction television programmes. He has a passion for exploring the stories of most fascinating people in our society and telling their personal stories in a respectful and unique way. When not exploring the human condition, he also specializes in creating programmes that focus on nature and our surrounding environment, the sciences, and travel. Jan learned his craft through roles at a number of television station as a writer, reporter, and short documentary filmmaker. Most notably he served as a television correspondent and bureau chief of APM Media in London for three years in the late 90s. In 2001 Jan turned his focus towards long formats. This decision turned out to be a prudent one. With his very first theatrical, feature-length documentary AUTUMN GOLD Jan received a number of awards, including the Filmmakers Award at the Hot Docs Film Festival 2010 in Toronto, the IDFA Youth Jury Award at the International Documentary Film Festival Amsterdam 2010, and the Grand Prize of the Jury at the Guangzhou International Documentary Festival 2010 in China, plus numerous Audience Awards around the world. For his television documentary THE WAR IN ME detailing post-war trauma, Jan received the Media Award for Science Journalism by the German Association for Psychiatry and Psychotherapy DGPPN. Jan was awarded a Rias Media Fellowship at the DeWitt Wallace Centre for Communication and Journalism, Duke University, North Carolina, USA. He was also selected to attend the Documentary Campus Masterschool. 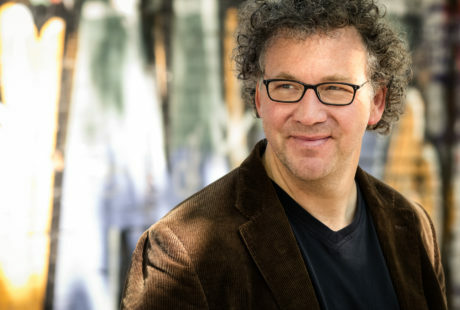 Jan’s degree in Social Sciences at the Ruhr-Universität Bochum and at the Humboldt-Universität Berlin gave him a head start in understanding the human condition. His studies of Journalism at the Freie Universität Berlin gave him the nuts and bolts of good reporting. Jan believes in being an active participant in the filmmaking world and has served various juries, including the German Camera Award, the Sehsüchte Film Festival HFF Konrad Wolf and the nomination committee for the German Television Academy Award.